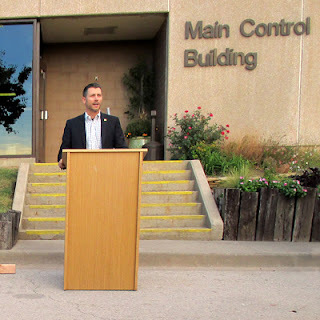 Officials recently met at Norman’s Water Reclamation Facility for a groundbreaking celebration to kick off the largest capital project in the history of the city of Norman. The Garver-designed $63 million program will include the addition of headworks improvements, biological reactors, additional clarifiers, ultraviolet disinfection, post aeration, odor control, and a new 66-inch effluent outfall line among other ancillary improvements. “The city of Norman has long been a champion of reclaiming wastewater and their commitment to this project reinforces their objectives to identify long-term and sustainable water supply sources for its citizens,” said Water Team Leader Michael Graves. The project addresses a number of operations and maintenance issues as well as an increase in treatment capacity and preparation for new water quality requirements including potable reuse. 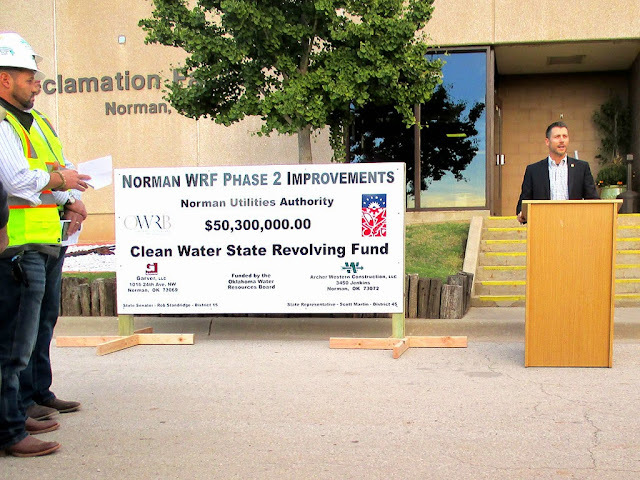 A project of this magnitude came to fruition over the last several years through a diverse team with lots of collaboration and support from the citizens of Norman, the Norman City Council, Norman City Management and Utilities staff, Plant Operations Staff, and Garver Water Design Center expertise. Various entities involved in the project had representatives attend the groundbreaking, including the construction contractor (Archer Western), the Oklahoma Department of Environmental Quality and the Oklahoma Water Resources Board (OWRB). The OWRB provided funding for the project in the form of the largest Clean Water State Revolving Fund loan ever issued in the state of Oklahoma. For more information on this project, check out the Norman Transcript’s coverage and IQ Online.